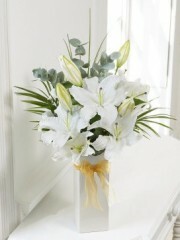 Aberfoyle Flowers have a large selection of flowers to choose from designed for every day occasions and important events such as weddings and corporate flowers. 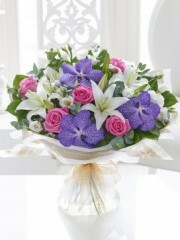 Aberfoyle Flowers use only the freshest flowers in all of our bouquets and arrangements. 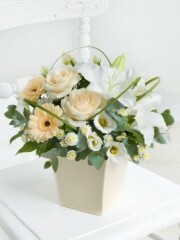 Aberfoyle Flowers have arrangements for every occasion from new born’s to anniversaries and birthdays to sympathy bouquets, whatever you are looking for Aberfoyle Flowers is sure to have something that will fit all of your requirements. If there is something in particular you are looking for that isn’t on our website just give us a call and we will ensure you get exactly what you were looking for with our bespoke service being second to none. Aberfoyle Flowers love nothing more than delivering flowers and in turn a smile and sending some beautiful flowers when its unexpected is a perfect way to make someone’s day brighter. With our wedding and funeral experts you can rely on Aberfoyle Flowers to provide beautiful flowers that can be completely personalised to you, with over 30 years experience there’s no shortage of knowledge and skill that our florists can supply.